In Minnesota, a court cannot reopen your divorce decree to change the dissolution of marriage itself, but can reopen it to change anything else, such as spousal support awards. However, the court must have a valid reason for doing so, such as a mistake in the original decree, newly discovered evidence or fraud. In some cases, you must file your petition within one year of the original decree so you may wish to consult an attorney to ensure you do not miss any important deadlines. A Minnesota court can modify your child custody order or parenting plan only if you and your ex-spouse agree to a modification or it has been at least one year since your divorce decree was issued. Once the court modifies a child custody order, it will not modify it again for at least two years. However, if the court finds that a parent has denied parenting time to the other parent or the child’s physical or emotional health is in danger, it can modify the child custody order at any time. Even if the court has jurisdiction to modify a child custody order, it cannot do so unless the situation meets Minnesota’s statutory requirements, which are tailored to serve the best interests of the child. Primarily, the court must find that a change of circumstances has occurred that makes a modification necessary for the best interests of the child. For example, if one parent has interfered unnecessarily with the parenting time of the other parent, the court may find that the child’s best interests are served by a change in the parenting arrangement. Alternatively, you and your ex-spouse can agree to a modification, which the court can then approve. 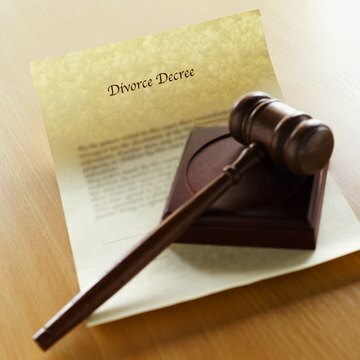 Another reason you may wish to modify your divorce decree is to change the spousal support arrangement. For example, if the court awarded you spousal support based on false information from your ex-spouse, the court may reopen your decree and modify the spousal support arrangement. The court can also change a spousal support award if your situation, or your ex-spouse’s situation, has changed drastically, even if neither of you misrepresented anything to the court in your original divorce case.